Dr. Sekhon completes his continuing education credits every year, frequently studying the area of TMJ disorder management. How much do you know about TMJ disorder? Is this something that you suffer from? What can you do to manage the pain? Consider the following information that Dr. Sekhon would like you to know concerning TMJ disorder and treatment. Did you know that up to 75-80% of TMJ disorder cases are directly linked with sleep apnea? Sleep apnea is a result of limited oxygen passing through the airways. As people struggle to breathe in oxygen while they sleep, the jaws and teeth tend to clench and grind against one another. Because of this, teeth can start to wear down, fillings can break, and pain can eventually radiate through the jaw and surrounding areas. Other causes of TMJ disorders include examples such as misaligned teeth and injuries sustained in motor vehicle accidents. A bite that is uneven from tooth alignment or injury can put unequal or excessive strain on the joint. 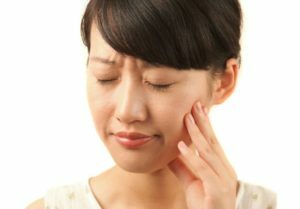 Dr. Sekhon may recommend that you wear a bite splint to alleviate your TMJ pain and symptoms. Splints prevent the jaw from fully engaging when it needs to be at rest. In some cases, Botox therapy is also effective. The Botox injections relieve muscle tension in and around the joint so that your symptoms are less severe. If splints do not help, then laser therapy just might. Some people respond well to laser therapy. Lasers can assist the TMJ in healing and reversal of pain. Whatever the cause of your discomfort may be, there could be a way for you to target the cause and reverse the effects. All treatment is provided by a general dentist. For more complex cases, we often refer our patients to a specialist for treatment. For more information on TMJ disorders or to schedule an evaluation with Dr. Sekhon, give us a call at Gallery Dental today. Need a family dentist in Edmonton? Give us a call!